The two partners plan to add dinner on Friday and Saturday nights when they reopen in March. The chef at Gather in Yarmouth and a business partner are taking over the Palace Diner in Biddeford. 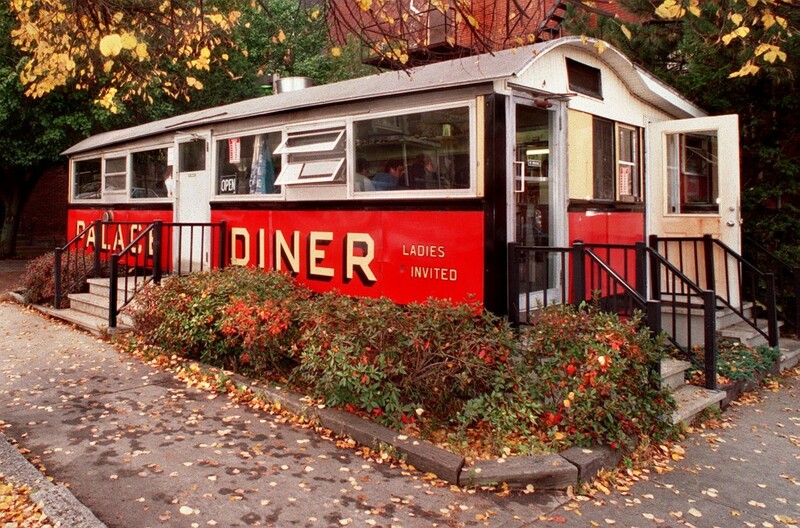 The 15-seat diner, just off Franklin Street at the back of Shevenell Park, has been around since 1927 and is believed to be the oldest diner in Maine. Chad Conley and his business partner, Greg Mitchell, were looking for a restaurant space to lease in the Portland area, but fell in love with the diner. Following a short period of negotiations they signed the lease for it on Tuesday afternoon. Conley said that under his management, the diner will serve a “well-sourced, well-executed” breakfast and lunch menu of classic diner fare. Conley said he expects the diner, which closed Aug. 31, to reopen in March. He and Mitchell met while farming at Eliot Coleman’s Four Season Farm in the Blue Hill area. Both men have experience working at high-end restaurants in New York City, and both are interested in farming and have run farms on their own. Conley also ran the Miyake Farm in Freeport, owned by the Portland chef-restaurateur Masa Miyake. “We’ve both been looking for a way to take those experiences and distill them into a place that is accessible and well-executed, affordable and fun,” Conley said. This story was updated at 10:51 a.m. on Friday Nov. 29 to clarify that the diner’s lease was signed on Tuesday after a period of negotiations. A previous version of the story incorrectly stated that Conley and Mitchell saw the diner for the first time on Tuesday.